what is love? baby don’t hurt me! | Have You Accepted Cheeses As Your Personal Flavor? Have You Accepted Cheeses As Your Personal Flavor? Jamie Nunnally's blog on music, family and faith. what is love? baby don’t hurt me! Christians are always being told that they should love each other and love the lost. But what exactly is love? The world depicts love with a heart. The bible says it’s a bloody cross. In our daily speech we talk about loving things like football and french fries. A couple that says they love each other one week might hate each other the next. 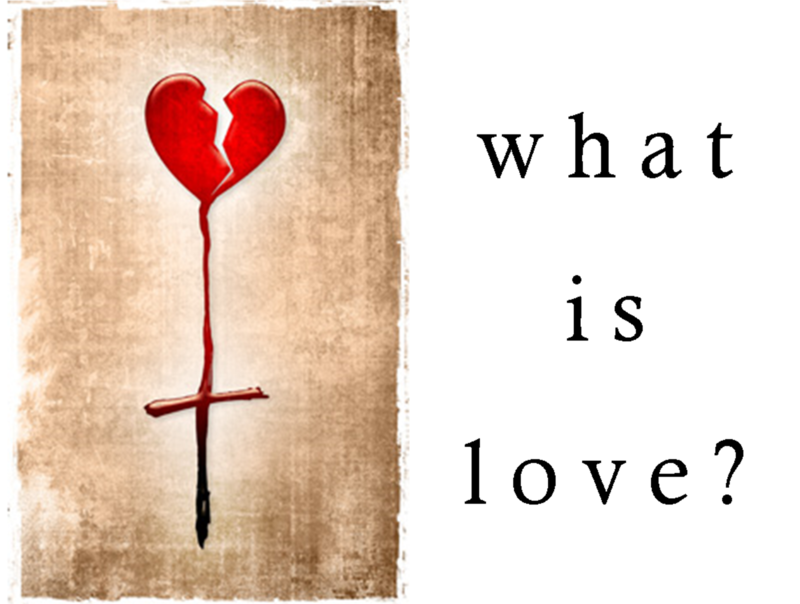 So what the heck is love? Well, the way I see it, its just like the the dance song says – “baby don’t hurt me” is a pretty good answer. The New Testament was written in Ancient Greek and there are four words in Ancient Greek to describe love. Each one covers its own segment in the spectrum of human love, from familial love to romantic love. We English-speakers don’t really differentiate between types of love. We just throw the word “love” around for anything and everything, giving in to our tendency for overstatement. The problem is, this effectively waters down the potency of the word and confuses us as to its real meaning. Agape is the Greek word used to describe both God’s love and the love Christians possess. It is selfless and unconditional. Love is a fruit of the spirit (Gal 5:22). So what does that mean? Well, fruits of the spirit are character traits of those who allow the Holy Spirit to live in and through them. In other words, love will grow in you as God grows in you. The more you let Him in your heart, the more love will come out of your heart. Love is a verb (John 3:16). DC Talk had it right. Love requires action and is not passive. It’s service, sacrifice and giving. God so loved that He gave and the Greek word agape is even translated “charity” in some places in the King James Version. It’s a conscious decision to place someone else’s needs above your own and act on it. But don’t think that service alone qualifies as love. Good works are wonderful but acts of service that aren’t empowered by the Spirit don’t reflect the Father and are pointless. Love in action always has eternal significance. Love is the defining trait of Christians (John 13:35). Hey Christian, wanna know how to gauge your walk with God? Hint: its not how many hours you log listening to Christian radio. 🙂 Inspect your love-life. Do you live your life pointed outward towards others or inward towards yourself? Ephesians 4:15 says we should speak the truth in love. Think of love as the Christian’s native language. Truth is great but it is only helpful to the world if it can be received by them. Speak in love so they can understand it. The world is desperate to see real, genuine, authentic Christians and they will know we are Christians by our love. Not our buildings or our boycotts. By our love. Love is a supernatural gift from God (1 Cor 13). Faith, Hope and Love are eternal gifts and are here to stay forever. While temporary spiritual gifts are for our time here on Earth, love is available on-loan from eternity. I don’t know if you’ve picked up on this yet but practically everything God asks us Christians to do is humanly impossible. Love my enemy, heal the sick – are you kidding me? Christianity requires that we walk in the supernatural and love is no exception. You can’t do it by yourself. Love is not easy, comfortable, or pretty (James 4:17). Love holds you to a higher standard of selfless action and people will not always like what you do when you walk in love. I once posted a Facebook status that quoted Billy Graham saying “It’s the Holy Spirit’s job to convict, the Father’s job to judge, and our job to love.” One of my Facebook friends asked if this applied to child molesters too. Yep, it sure does. But make no mistake, loving someone does not mean letting people do whatever they want (like hurting others). Sometimes the most loving thing a person can do for another is to call them out on their bad behavior and if its within your authority, discipline them for it. A loving parent restrains their child, don’t they? Sometime love makes a scene. If you are about to get hit by a car, I’m going to scream at you and push you as hard as I can. I’m sure you’ll be OK with it though if it saves your life! In the end, love is about doing whatever it takes to protect, defend, honor and lay your life down for someone other than yourself; basically to do whatever it takes to ensure they won’t get hurt. Does love require you to get run over? Yes, if that’s what helps the person. But that doesn’t always help the person, does it? Instead, love requires you to be willing to get run over if need be. As ironic as it is, somewhere a dance club is playing “What is Love” by Haddaway with some really good advice. If you want to truly love someone then, baby, don’t hurt them! how does god want to be described?